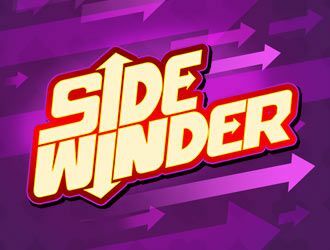 Sidewinder is a slot designed by Just For The Win and features 5 reels along with 243 as well as 1,125 ways in which you can win. The theme is a classic one and the reel setup is modern. This theme is prevalent in other slots too. The stakes vary from 10p up to £100 for every spin. The symbols include red 7s, golden bells, horseshoes, clovers with four leaves each, Bars. The red coloured 7 is the most lucrative symbol since it can fetch you 8x the amount at stake if you are lucky enough to grab 5 symbols in a combo. There are 3 wilds i.e. bottom wild, top wild and regular wild. All these wilds will perform all the usual functions. They can substitute all the symbols apart from the scatter that is the logo of the game. The regular wild symbol will appear on the horizontal reels while the top wild will show up on the reel two and the last one is bottom wild that will show up on reel 4. There is also a Sidewinder feature that can get initiated the moment the top wild activates the horizontal reel. Also, the bottom wild will trigger the horizontal reel present at the bottom. After this, you’ll be given a chance to play with 576 winning ways along with one activated horizontal reel. Note that if two reels are activated, up to 1125 winning ways can be availed. So, the winning chances go up automatically. There is also a Free Spins round that gets activated when 4 or 3 scatter symbols show up on reels 4, 2 as well as horizontal reels. Both the scatter and wild symbols show up on two horizontal reels. Moreover, if the wild halts on the same position and that too on both the horizontal reels, they will get connected thereby creating an expanding wild. One free spin will also be awarded for every scatter which shows up on the horizontal reels. With a pretty classic theme, the slot is easy to play and the highest win can go up as high as 2,720x the amount put at stake. This win can also be boosted up if all the three reels turn wild. Overall, Sidewinder is a good slot to check out.